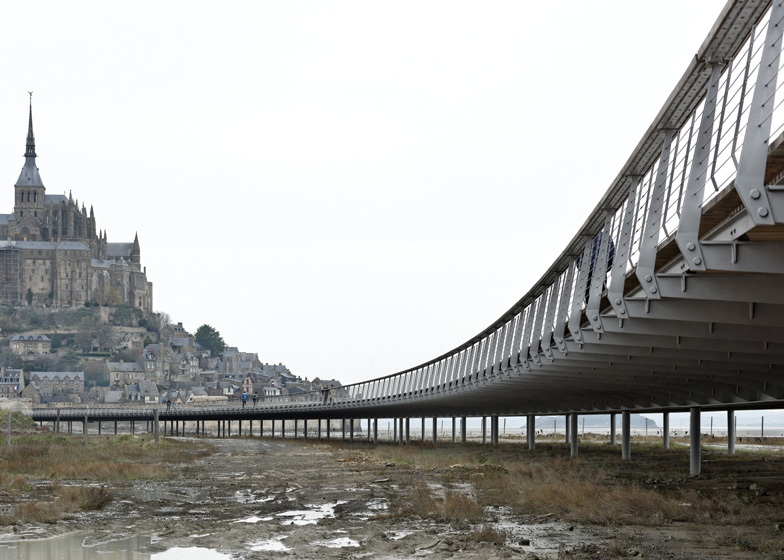 Today marks the opening of a new 760-metre-long bridge leading out from the coastline of northern France to the historic Mont Saint-Michel island commune (+ slideshow). 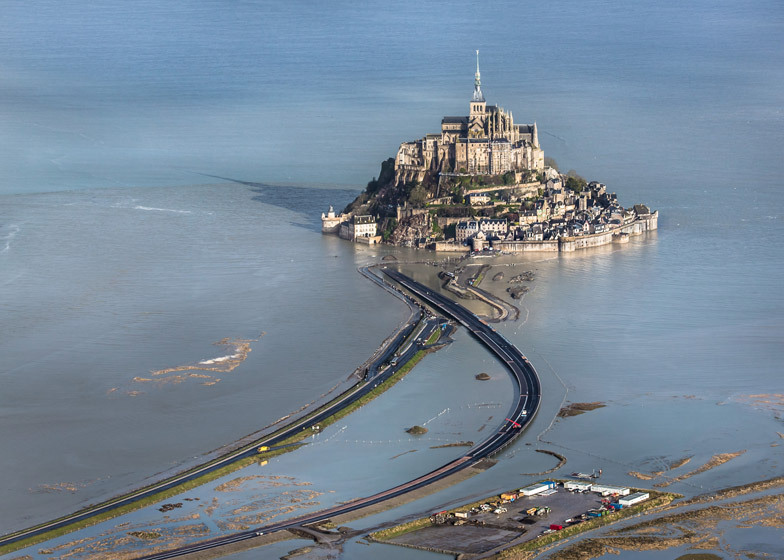 Austrian-born architect Dietmar Feichtinger designed the Passerelle Mont Saint-Michel to replace the 135-year-old causeway that first connected the island to the mainland, but also caused a build-up of silt around the old dam. 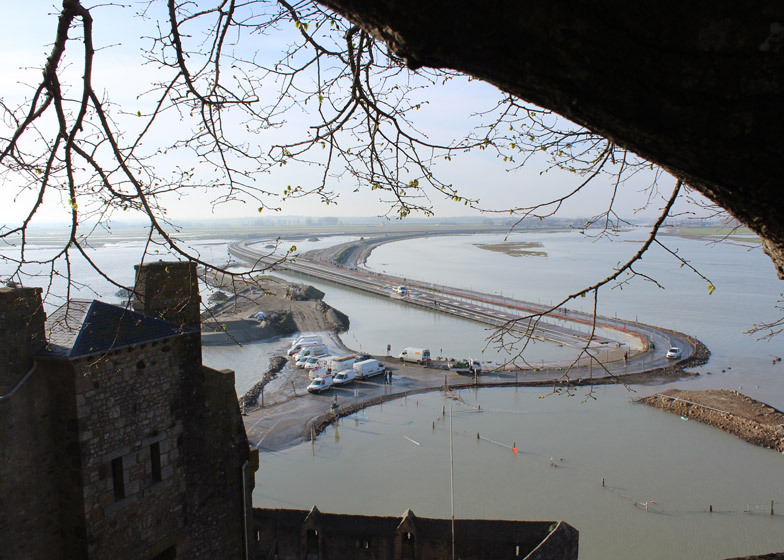 Once the causeway has been demolished, the new route will once again allow the sea to flow across the estuary, transforming the Mont back into a real island for the first time in over a century. "The intention of the project is to guarantee the continuity of the landscape as far as the eye can see," said the design team. "The project set itself the imperative of not disturbing the atmosphere and the wonder of the site." 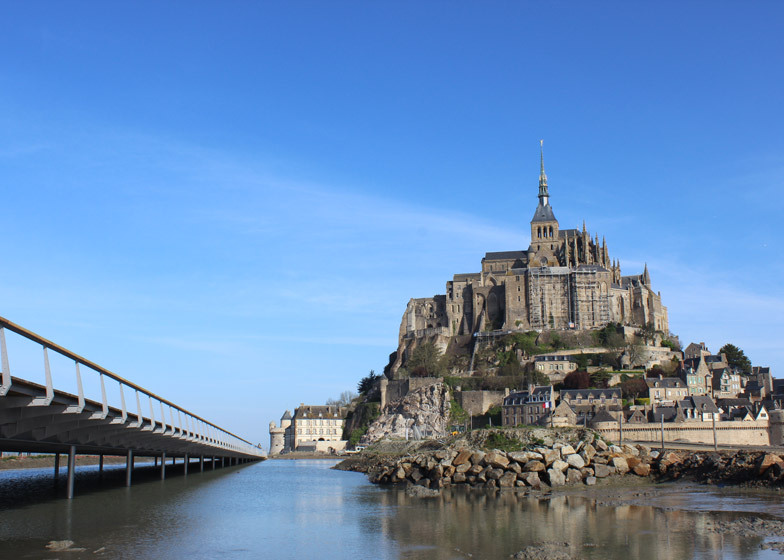 Mont Saint-Michel is one of France's top five tourist attractions. 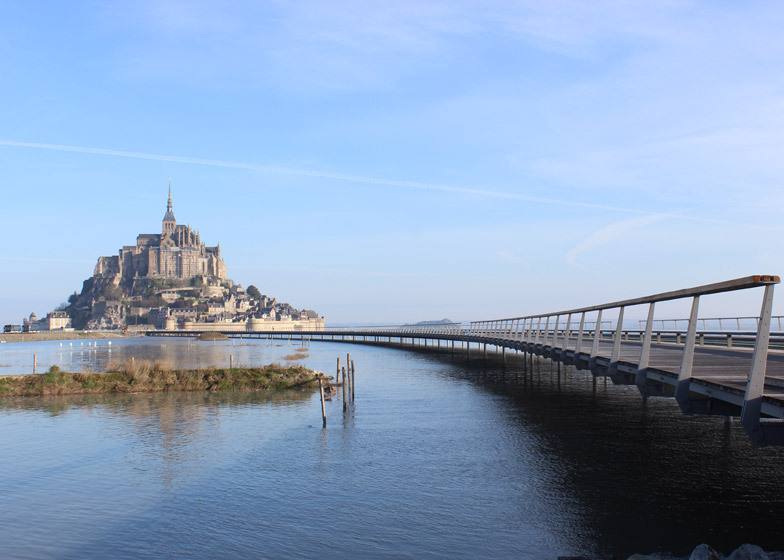 A Norman Benedictine abbey and monastery sit at the island's centre, surrounded by the winding streets and elaborate architecture of the tiny medieval town. 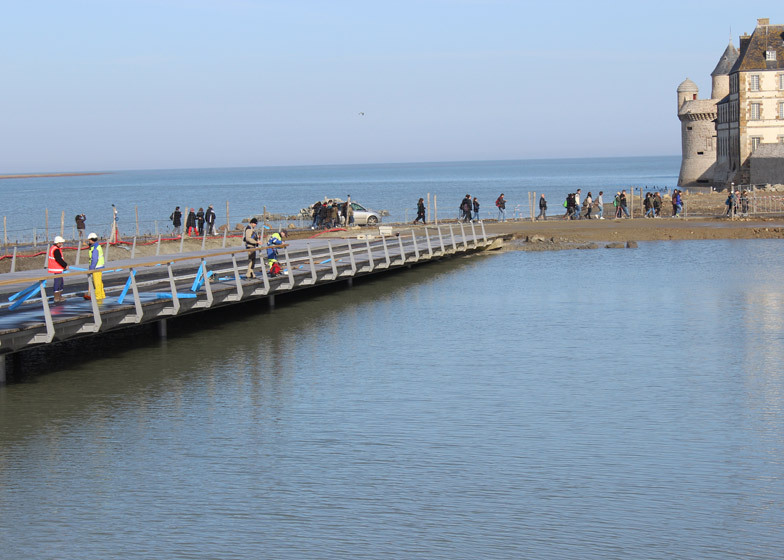 One of the main objectives behind replacing the access road was to prevent visitors driving across the waters and parking up on the strand – to instead compel them to either walk over or take a shuttle bus. 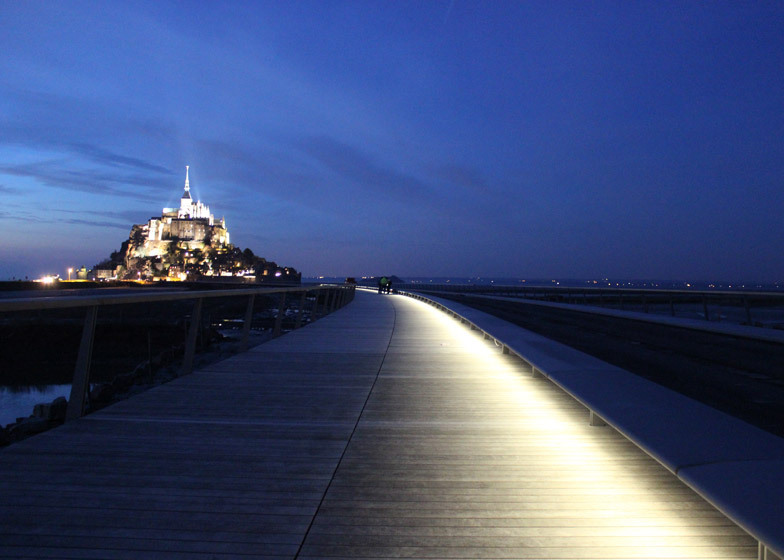 The pedestrian pathway opens today, although the shuttles won't be available until the bridge's official inauguration this November. 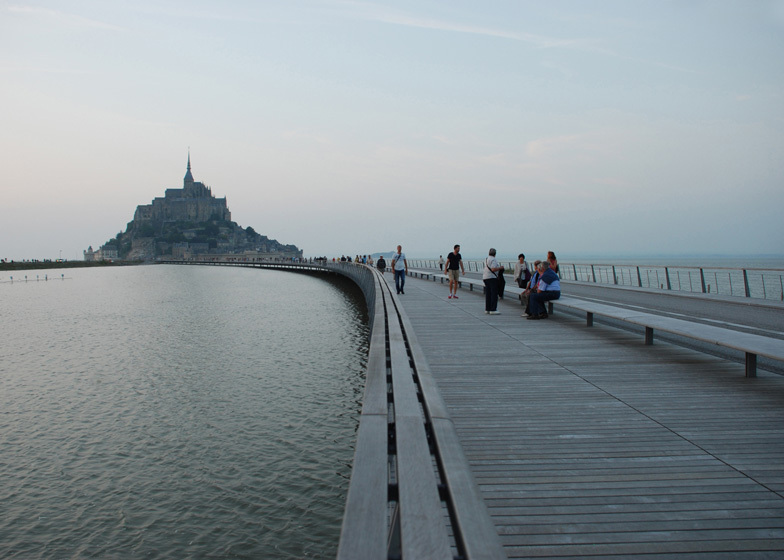 Unlike the original road, which led straight out across the water, the Passerelle Mont Saint-Michel follows a curving route that is slightly offset to the east before curving gently back. 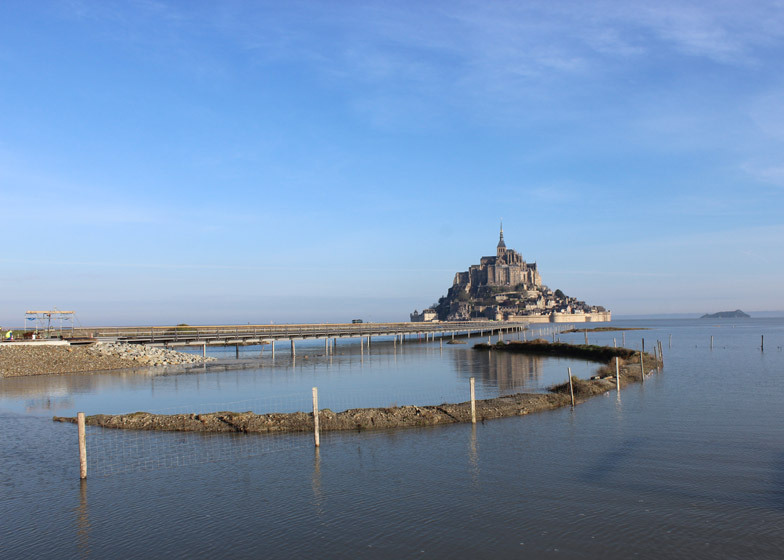 This opens up wide views of the bay and the distant Tombelaine rock. The structure is supported by a series of 134 pillars – each with a height of 12 metres. 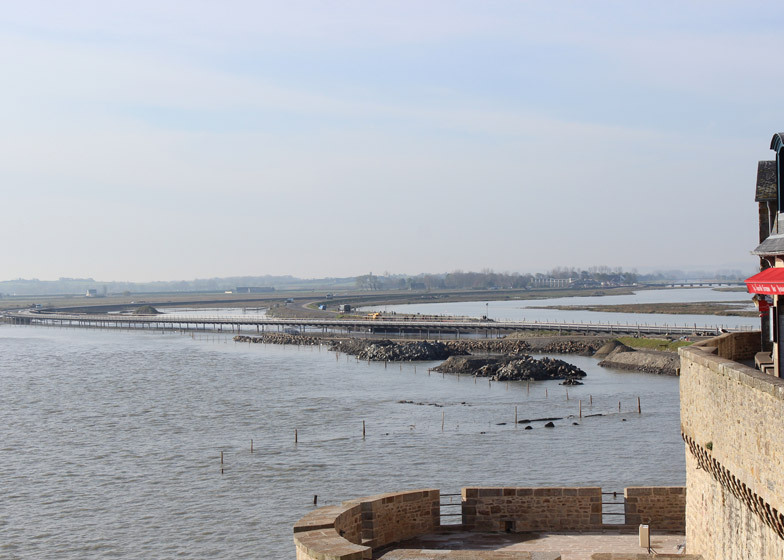 As the sea levels rise up to around 14 metres, the surface will be allowed to regularly flood over two periods each year, helping to wash away the silt. "The inspiration derives from the sight of a mussel farm with its sticks rising from the sea. The low structure nestles to the water almost touching it," added the team.